Bihar Board 10th Result 2019 has been released on 6th April 2019. Bihar School Examination Board (BSEB) is the authority to supervise and conduct the 10th and 12th examination. The board was established in 1952 for holding and regulating all the activities related to secondary education in this state. The headquarter of this board is situated in Patna. The result has been declared via online mode. Students can get here the complete information on BSEB 10th result 2019 including previous year result analysis. 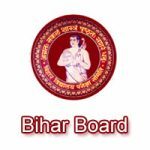 Bihar Board 10th Result 2019 has been released on 6th April 2019. Click here to check result. Note: Due to heavy traffic, website is running slow. A large number of students appear in the Bihar Board 10th examination. The board conducts the examination in the month of February/March. After completion of the exam, the authority evaluates the answer sheet and publish the result on 6th April 2019. Bihar board matric result 2019 has been released through online mode. There is no other mode to access the result. Students can check their results by entering their name or roll number. After checking the BSEB matric result, candidates must take printout of it for further use. Previous year Bihar Board 10th result was released on 26th June. In the year 2019, the 10th class examination was commenced in the month of February 2019. The result has been released on 6th April 2019. The Bihar Board supplementary examination will be conducted in the month of August or September 2019. In the above table, we can see that the girls pass percentage is recorded between 37% and 40% (approx). At the same time, the boys pass percentage is in between 51% and 54%. During the year, 2016, the overall pass percentage was fallen down massively. In the year 2017, this percentage was increased by 4%. The total number of students appearing in the exam is, however, increasing every year. In the Year 2018, total 17, 58,797 students appeared for Bihar 10th board examination out of which 68.89% of overall students got passed. Candidates can go through the guidelines given below to check the Bihar matric result 2019. Enter the details such as “Roll Number” or “Name”. Now, click on the “Get Result” button. Students should take printout of the result for future use. Minimum 30 marks out of 100 in each subject. Total 150 marks must be obtained. Candidates must be passed in all subjects. Students can get their original mark sheet & passing certificate from their respective schools. It will be provided within a month after the announcement of result. The result is a very important document to get admission in the next class. So, keep it secure as it will be asked by every school/college for offering admission. Keep the hard copy of the downloaded result till you get the original from your school. Check all the details mentioned in the BSEB 10th result carefully. In case of any discrepancy found in the result, contact to the respective schools immediately. If you have any other queries about Bihar Board 10th Result 2019, you can write your queries in the comment box given below. 10th result has been released. Sir,I have passed in poltenic entrance exam.but I have obtained 26 Marks in english.and I have passed in matric result by 54%.can I get any problem at the time of admission in poltenic college.pls advise me. Sir bseb class 10 result me incomplete aya he, sir how can get my result? Bihar.indiaresults.com is not showing results by name, which websites are showing by name? I am waiting for result of bihar. when will the result come? And at what time? I am waiting for result since last 10 days. when will be result published??? Bihar bord 10th ka result kab aayega. Respected teachers goodmorning to all of you i am Amar kumar from misirchak (Gaya)i am asking to class 10 result date. The date is not fixed. However, we will update in our article when it will be released.